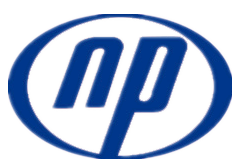 shijiazhuang naipu pump co.,ltd is one of the largest industrial pump in china. We have been in business relationship more than 20 years with India, America, Philippines, South africa, Pakistan, Italy and so on. We won their trust by means and good reputation we enjoyed in pump manufacturing field. The gravel pump or sand pump or gravel and sand pump is used for river course, reservoir desalting, coastal reclamation, stretching, deep-sea mining and tailing acquisition etc. G(or GH) gravel pump or sand pump or gravel and sand pump are designed for continously handing the most difficult higher abrasive slurries which contain too big solid to be pumped by a common pump. They are suitable for delivering slurries in mining, Explosive-sludge i metal melting. Dredging in dredger and course of rivers, and other fields. Type GH pumps are of high-head ones. Looking for ideal 6 Inch High Head Gravel Pump Manufacturer & supplier ? We have a wide selection at great prices to help you get creative. All the 10 Inch High Head Gravel Pump are quality guaranteed. We are China Origin Factory of 12 Inch High Head Gravel Pump. If you have any question, please feel free to contact us.